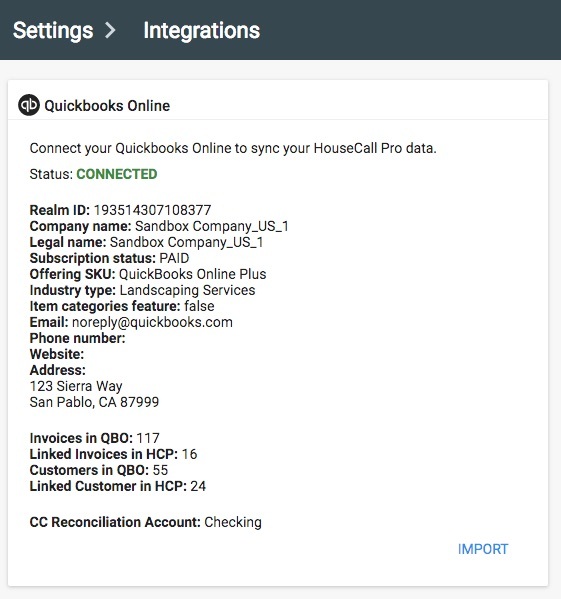 When you connect HCP to a QuickBooks account, you can now view the QuickBooks account information under the HCP Settings. 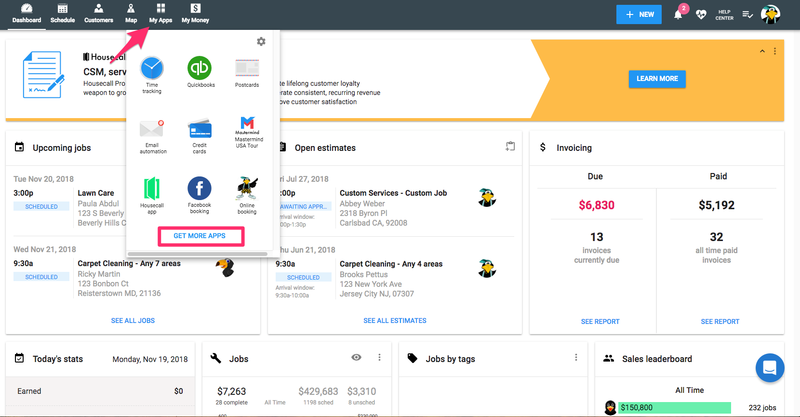 This will allow you to confirm the status of your QuickBooks Online connected account, and see the invoice and customer totals connected between the two systems. 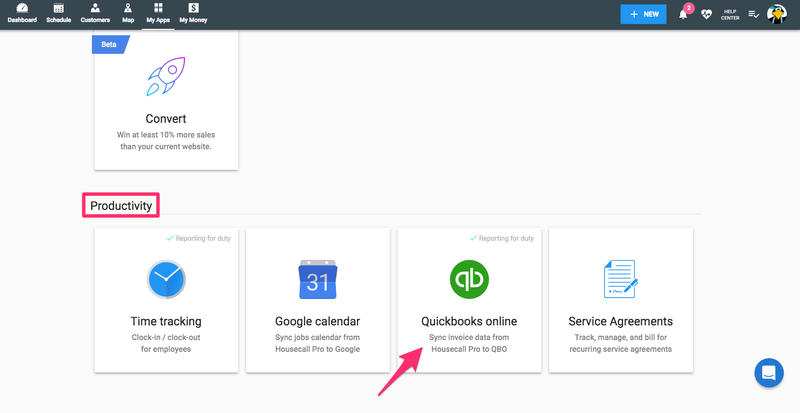 To get started with your QuickBooks configuration, click 'My Apps' located to the right of the Dashboard button. From there, click 'Get More Apps' in blue. This will give you an at-a-glance view of your QuickBooks configuration. One key configuration included in this screen is the name of the checking account where HCP credit card payments will reconcile to.